Recently, I attended a lovely pot-luck brunch hosted by the adoptive mother of one of the Pomeranians I play Friday night Poker with. Honestly, I almost declined the invitation at first as my social schedule has grown so immensely these past couple weeks and I never feel as though I have a day to just relax. Sunday mornings are generally the only days I am able to just lay around on the couch, cuddled up in mi papa’s sweatshirt while catching up on episodes of Top Chef that mi madre has DVR’d from the previous week. However, I knew how completely heart-broken the hostess would be if I were to not attend and even more upset that there would not be one of my yummy baked goods among the spread of food. So in the end, I agreed to the invite and pulled out my measuring cups and mixing bowls, tied my trusty apron on and got to work. I toyed around with a few ideas I already had in my head and got out some of my cookbooks and issues of Bon Appetit for some more inspiration. I then asked mi mama and papa what they thought I should make. After veto-ing Mama’s Toaster Strudel suggestion (the only breakfast item she know hows to make… silly baking-impaired woman), mi papa suggested I make “some sort of breakfast bread that’s not too sweet but still full of major flavor and spice.” Bueno, Papa! 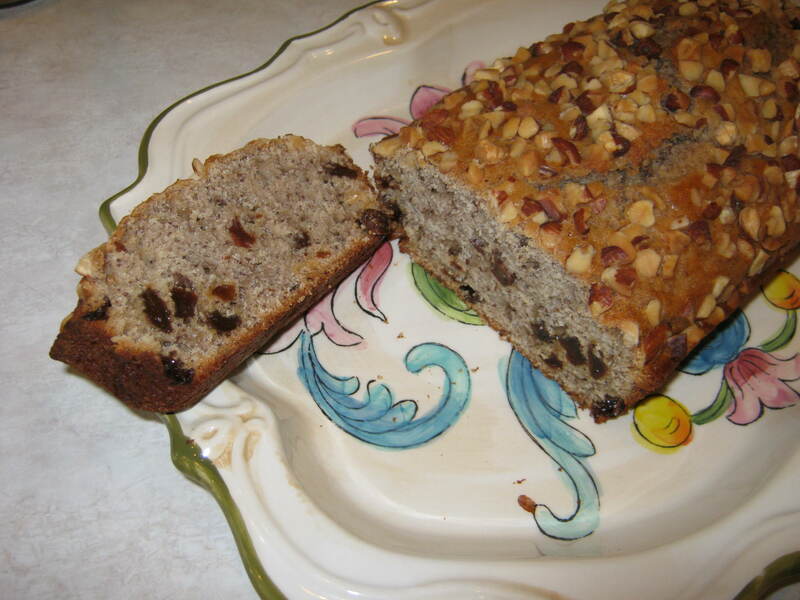 And thus, my Cinnamon-Raisin Tea Bread was born. 1) Preheat oven to 350 degrees. Coat an 8×4″ loaf pan with cooking spray. 2) Pour hot water over raisins in a bowl, cover and let sit for 5 minutes. 3) Combine buttermilk and next 5 ingredients in a large bowl, stirring with a wire whisk. Drain raisins through a colander and add to buttermilk mixture. 4) Combine flour and next 6 ingredients in a medium bowl. Add to buttermilk mixture and stir until just moistened. 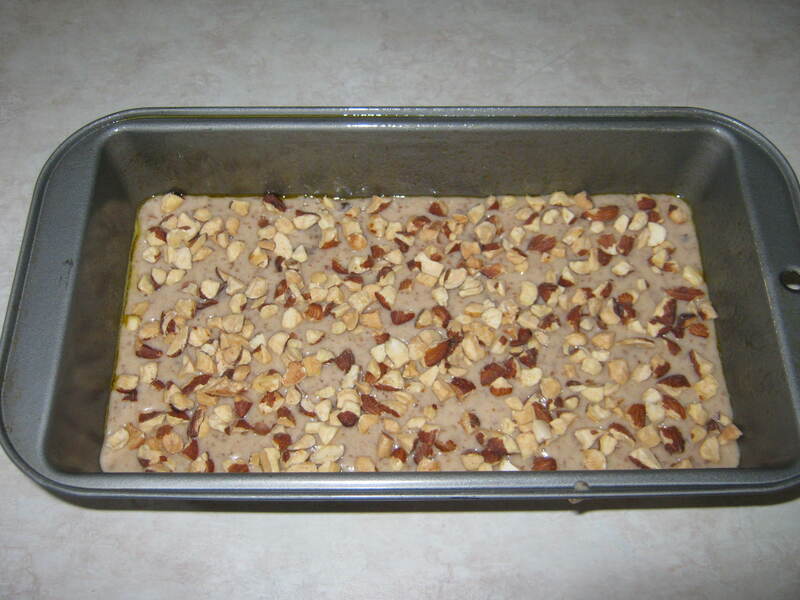 5) Pour into loaf pan and sprinkle with chopped almonds. 6) Bake 45 minutes or until toothpick poked into middle of loaf comes out clean. 7) Allow to cool 10-15 minutes before removing from pan. 8) Cut into slices, top with peanut butter, jam, butter etc and chow down. Mmmm, mmmm, good! Easy peasy, low in fat and sugar and a fun alternative to your morning toast with jam. 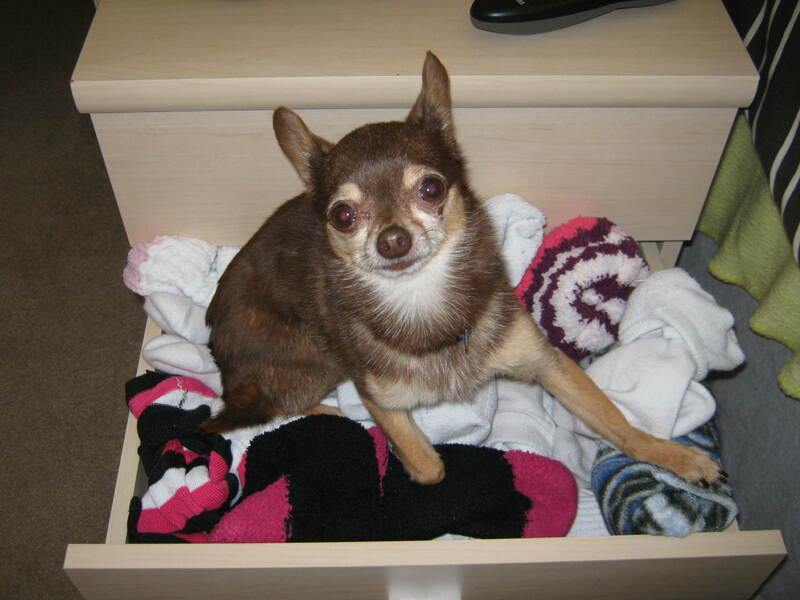 Speaking of fun, I really must pry myself away from my laptop now as I need to go rearrange my sock drawer. Juan’s bread was the best. Very filling, too. After two slices for breakfast, I wasn’t hungry again until about five hours later. Can’t wait to try it. Your abuelo’s mouth watered when he saw the picture with all those nuts on top.